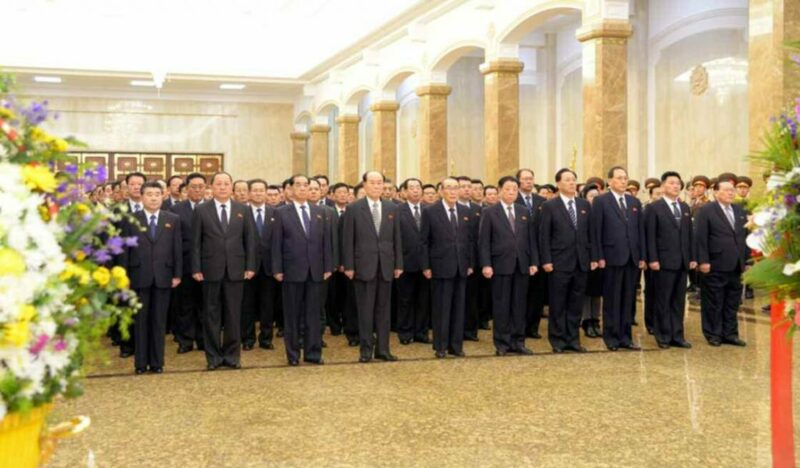 Senior DPRK Government officials stand in front of the KIS and KJI statues on Feburary 16, 2018. Im Chol Ung is in the first row at the left. (Photo: KCNA/Rodong Sinmun). Im Chol Ung [Im Ch’o’l-u’ng] is a DPRK Vice Premier and alternate member (candidate) member of the Workers’ Party of Korea [WPK] Political Bureau. Im is also a Member of the WPK Central Committee. promoted to deputy minister in the spring of 2012. Im Chol Ung was appointed DPRK Vice Premier in a special decree by the Supreme People’s Assembly Presidium in May 2014. 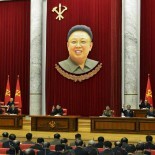 Im addressed the DPRK Cabinet’s Fall plenary meeting (plenum) in October 2014. Im was elected a member of the WPK Central Committee during the 7th Congress of the WPK (7th Party Congress) in May 2016 and elected an alternate (candidate) member of the WPK Political Bureau. Im was born in 1961.